After a few minutes, the signal from the system to the monitor is dropped, blanking the screen. To revivie the screen, the user needs to press <ctrl><alt>-F1 to switch to console and <ctrl><alt>-F7 to get back to X. This happens even when the system is actively used (twice while filling out this bug report). Here is a new twist on the video issue I have been seeing. This is with the kubuntu-mobile image on ompa4. The screen is supposed to show the oem-config window for adding a new user. i also see the GFX_FIFO_UNDERFLOW error above after about 2h working on the panda. unlike tobin i can not get the screen back via console switching. i have to actually ssh into the board and restart gdm and *then* can get it back through switching to a tty and back. This bug is quite annoying. I got one underflow during the installer and 3 more after the first boot, just a few minutes after I opened up the unity-2d session, trying to install the omap4 extras. Used the netbook image from 20110426.4, that uses the kernel 2.6.38-1208-omap4. Seems to be two different issues, one is the original bug report and this other random thing. On my tree, with my config, I don't see this at all. Blanking occurs but I can every time bring it back by waving the mouse a couple of seconds without these errors. Is the kernel you're seeing this with maybe having CPU_FREQ enabled? I'm running with it disabled. > this other random thing. it again if you want to have your screen back. > seconds without these errors. issue happened when I was using the board, not when it was idle. > Is the kernel you're seeing this with maybe having CPU_FREQ enabled? > I'm running with it disabled. It's also disabled for Natty. Actually, I failed to reproduce this issue on my board with kernel 1208.12. Could you guys test again with latest kernel? Regardless, setting this to Incomplete for now per Bryan's comment #8. Still seeing "omapdss DISPC error: timeout waiting for EVSYNC" on linux-image-3.0.0-1203-omap4. See syslog-20110830.txt attached. Care to take a look at this for us? Thanks. I'm not seeing this in the latest oneiric kernel. It may have been fixed with the latest TI pull. Will keep my eyes open and close this if I don't see it at all. 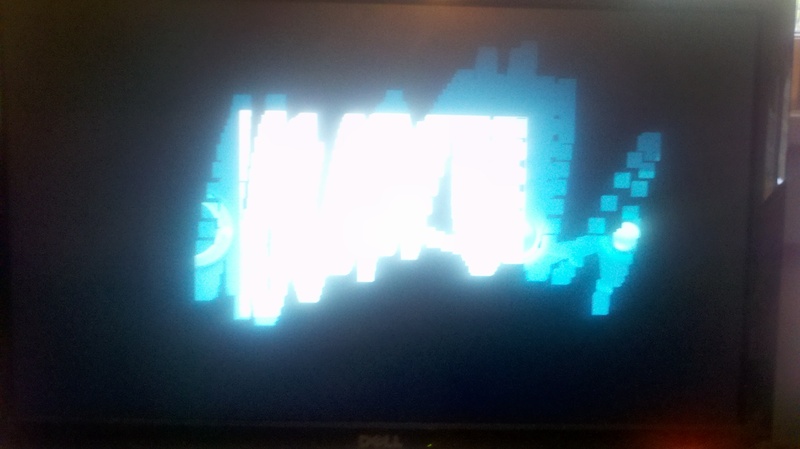 On all my systems, I only am seeing this on my headless (no monitor) systems, and only once during boot. Some of these systems have been on for days. Previously, this error would repeat constantly every few seconds. I think it is safe to close for Oneiric. Closing per comment #13 from Tobin. Thanks. I'm still getting the GFX_FIFO_UNDERFLOW error on Ubuntu Oneiric using Kernel 3.0.0-1205-omap4. Also, the fix with CTRL-ALT-F1/F7 doesn't work for me: Still only a black screen on X11. It happens with my LG W2443. Before Oneiric, this monitor didn't display anything at all on my Pandaboard. With Oneiric, it works on DVI (except for the underflow thing), but HDMI still displays a black screen only. I can't really tell when it happens, though I haven't seen it happen when I run the monitor at 1280x1024 (normally it's 1080p). Often it happens when I only start the system monitor in XFCE, but I've also seen it happen when I do nothing at all. Please tell me if you need any more information.